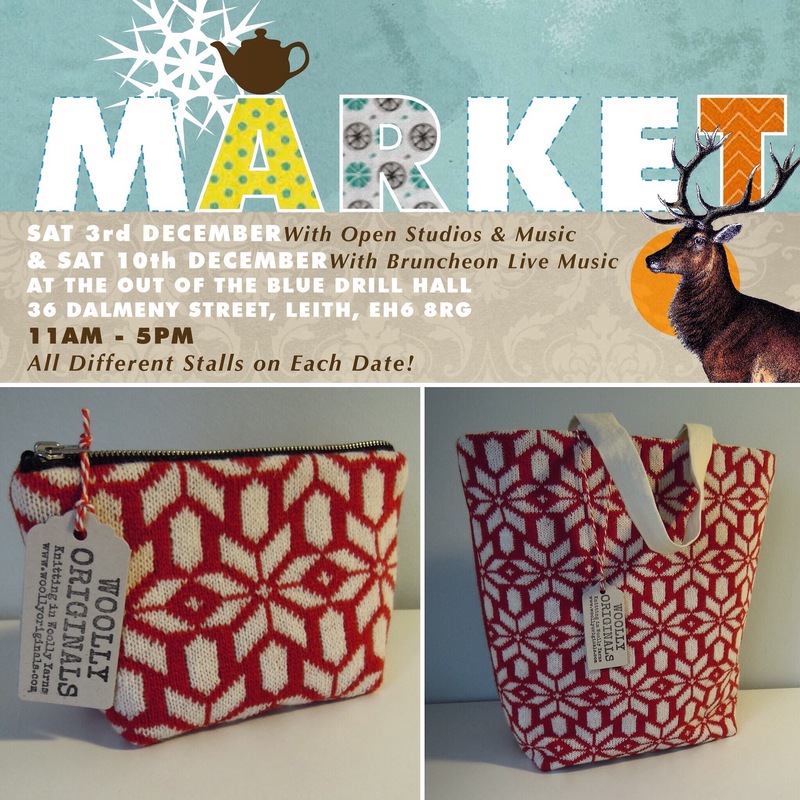 If you’re in Edinburgh on Saturday 3rd December, pop along to the Out of the Blue Xmas Arts Market on Dalmeny Street, off Leith Walk in Edinburgh. I’ll be there from 11am till 5pm selling my Woolly bags, including these Christmas-themed ones. It’s a wonderful event, and the artist studios will also be open. ← Snowflake, Star or Rose…..what’s in a name?